You can use AFerry to book a Fantasea Cruising Magnetic ferry from Townsville to Magnetic Island, off the coast of Queensland in Australia. 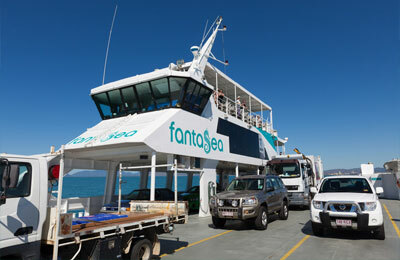 Fantasea Cruising Magnetic is a long established marine transport and tourism operator based in Townsville. AFerry always has cheap prices for Fantasea Cruising Magnetic and the latest special offers. 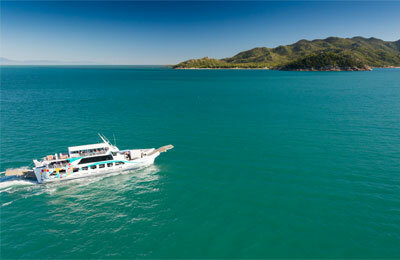 You can use AFerry to book Fantasea Cruising Magnetic Ferries to Townsville and Magnetic Island. See below for the latest Fantasea Cruising Magnetic prices and sailing times. Click on your ferry route for a detailed timetable. The Fantasea Crusing Magnetic fleet is made up of fast craft catamarans. Facilities include an onboard bar, comfortable seating and air conditioning. You'll get spectacular views from the viewing decks. Whenever you book your Fantasea Cruising Magnetic ferry, you will know that you got a great deal from AFerry. How long before departure should I arrive for Fantasea Cruising Magnetic Ferries?